Hello everyone. 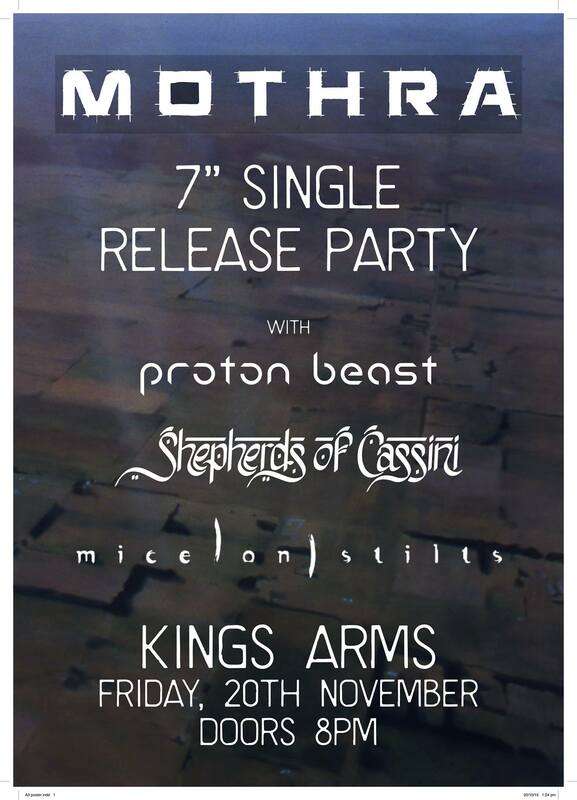 Thank you to everybody who showed up to our previous gig at Kings Arms with Hunt the Witch and Deathbeam. It was our first gig for 2016 and a great one despite the heat sweat! Given the small size of Backbeat, and the fact that our album release party last year there brought the bar to capacity quickly, we will be controlling entry via tickets. There will be a limited number being sold – we recommend buying tickets sooner rather than later! Also, Vitesh will be heading off on his OE this March, therefore Shepherds will be going on an extended hiatus for potentially two or more years. This will bring a fantastic four years to a close while we have a break and prepare for our next chapter. We will be having a farewell gig in early March – more details about that soon. Hello everyone. Kosmogoniafest last Saturday was an awesome night of heavy sludge, doom, drone, psych and prog; thank you to all the bands and everybody who showed up! 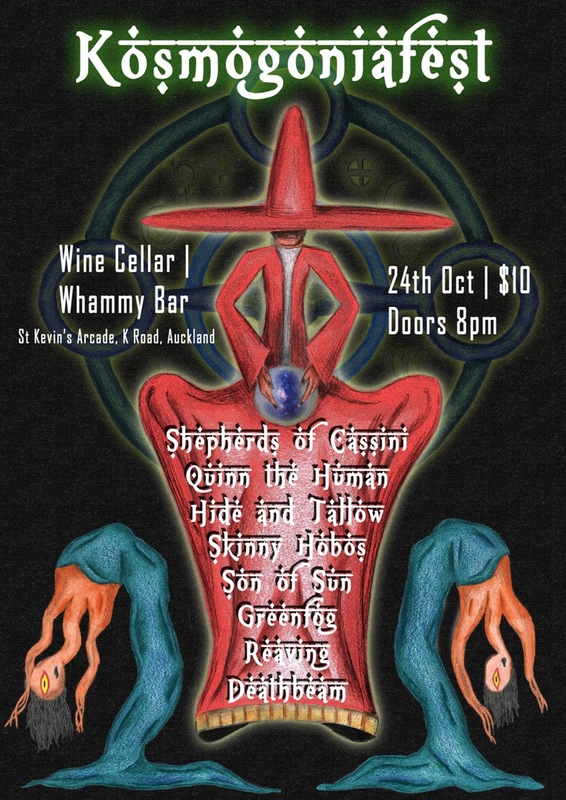 It was great to bring music from the same underground corner of the Auckland (and Kaiwaka!) music scene into the same event. Definitely looking forward to organizing another night like this again. Hello everyone. Thank you to everybody who showed up to our previous gig at Kings Arms with His Master’s Voice and Blackleaf Gardens. It was a fantastic night of heavy prog and blues. Hello everyone. Just letting you know that due to unforeseen circumstances, we will no longer be able to perform at Thirsty Dog on Saturday 5th September. However a few band members will still be at the gig helping out and the night will still be a good one. We will still be performing on Friday 11th September at Kings Arms as already announced. More details here. If you missed our album release show for whatever reason, we hope to see you in the near future for our next gig – once this is confirmed it will be announced. In the mean time, please enjoy our new music! Hello everyone. 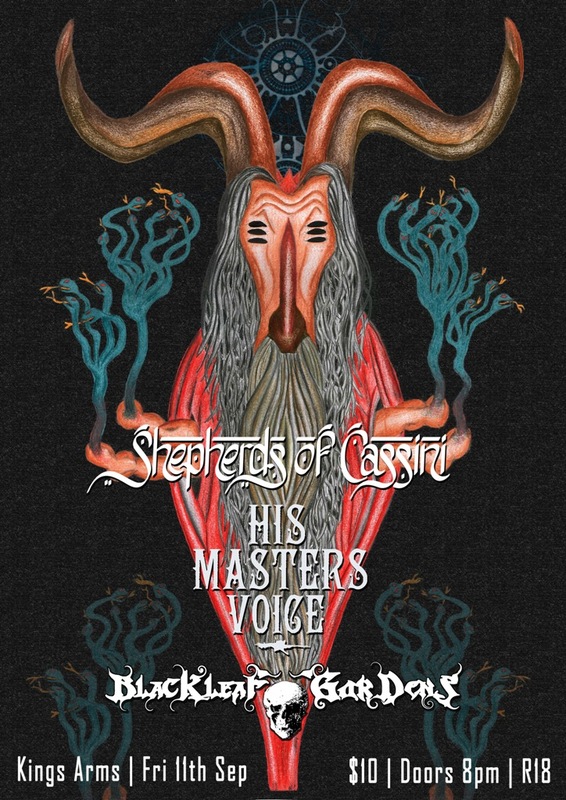 We are pleased to announce that our new album, titled HELIOS FORSAKEN, has been recorded, mixed, mastered and the album artwork has been completed! 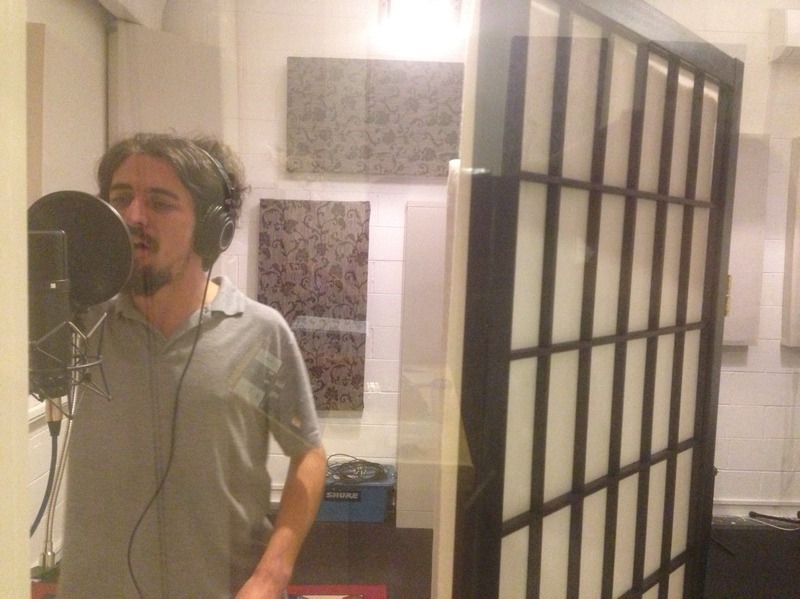 Dave Rhodes from Depot Sound Recording Studio in Devonport has done an amazing job with recording and mixing us, while Chris Chetland from Kog Studio in Titirangi has done an equally amazing job at mastering our album to completion. We tapped into the incredible talent of our friend Chris Lewis who worked on the art for our first album, and once again he has delivered a splendid job at visually capturing the atmosphere of this second album. The CD production and packaging is currently being organised and the final product will be ready this July! 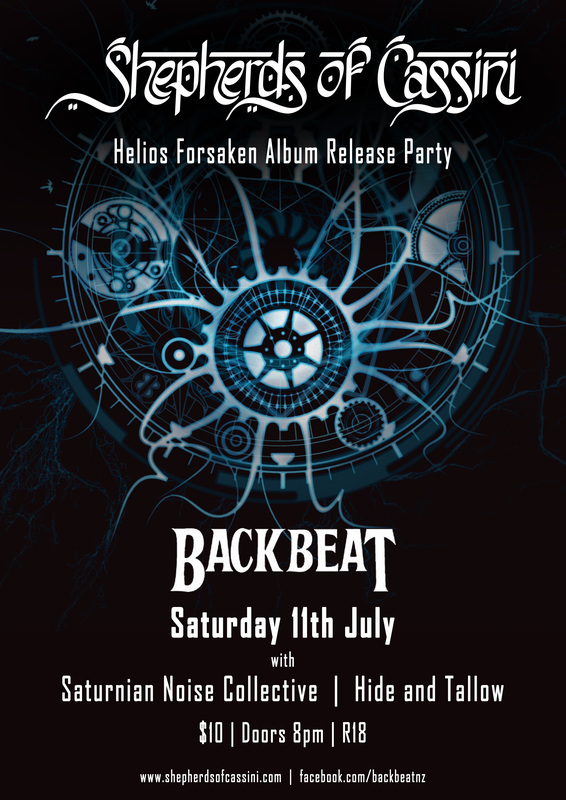 To celebrate the release of Helios Forsaken, we have an album release show booked at Backbeat on Saturday 11th July. Supporting us on this night will be the free-form noise/drone act Saturnian Noise Collective (another Auckland band from the Saturn family) and the familiar blend of foot synth, lyrical monologue and hypnotic drumming of Hide and Tallow. Come to the gig and buy an album, and watch us perform it live for you! The album will also be released across all the usual online channels (Spotify, iTunes etc) and physical CDs will be available for order via Bandcamp and at Real Groovy in Auckland. Hello everyone. Thank you to everybody who has contributed to our Indiegogo campaign so far – your support means a lot! If you haven’t contributed yet and you’re keen to, please visit our campaign page here. 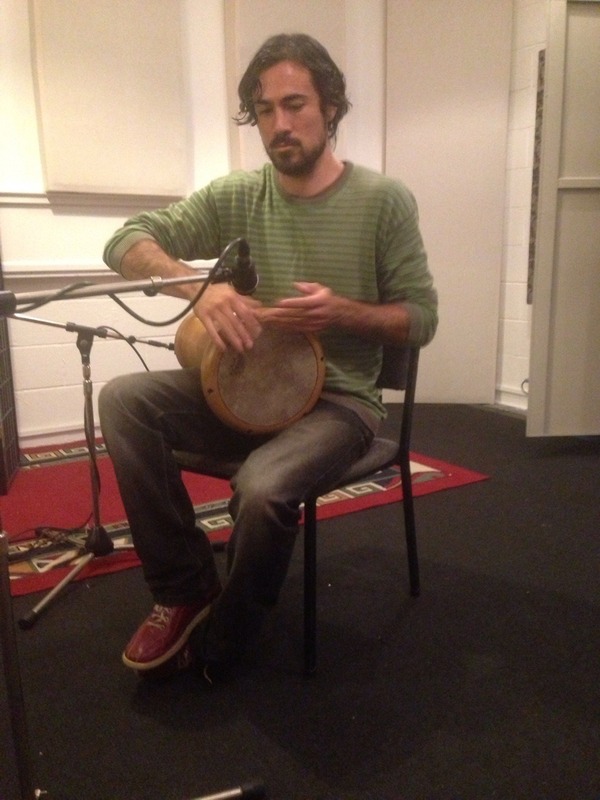 Last week we spent a day in the studio recording vocals and some darbuka percussion (performed by Hide & Tallow). 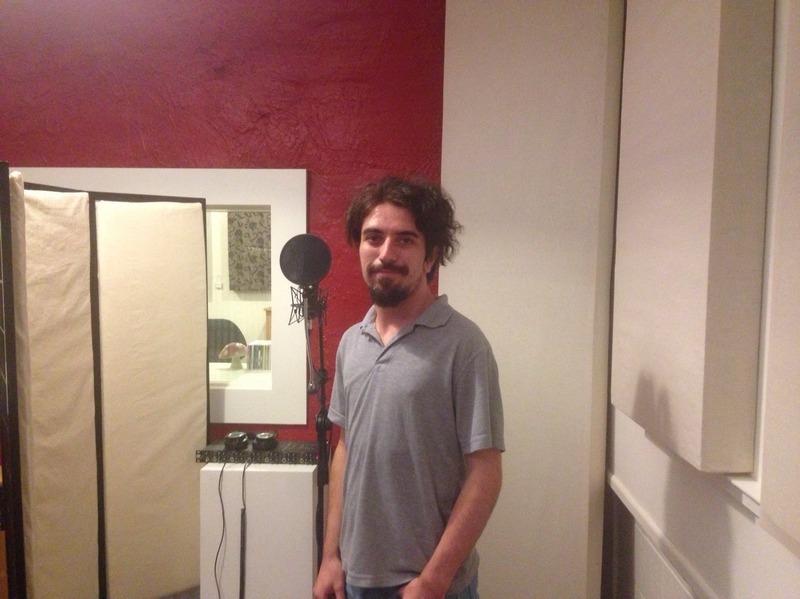 This week we’ll be finishing off the remaining vocals which will complete the recording of the entire album. 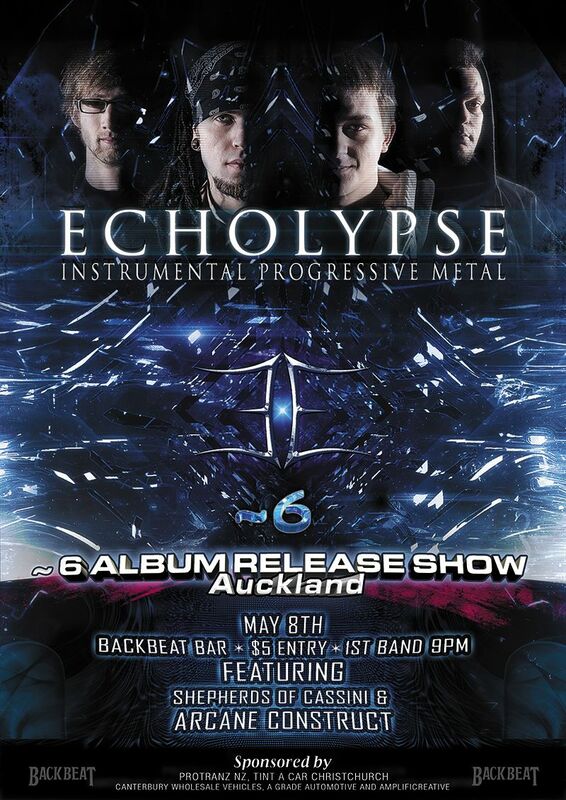 Also, this Friday we are playing a gig at Backbeat, opening for Echolypse from Christchurch who are also releasing an album. Also on the bill are Auckland’s Arcane Construct, which will complete a line-up of fine kiwi prog. Hello everyone. We recently completed ten consecutive days of recording our second (currently untitled) album with Dave Rhodes at Depot Sound Recording Studio. We completed the recording of drums, bass guitar, electric guitar and electric violin for five epic new tracks. During the coming few weeks, we’ll be spending a bit of time recording vocals and some extra percussion, and then it will be onto mixing and mastering. 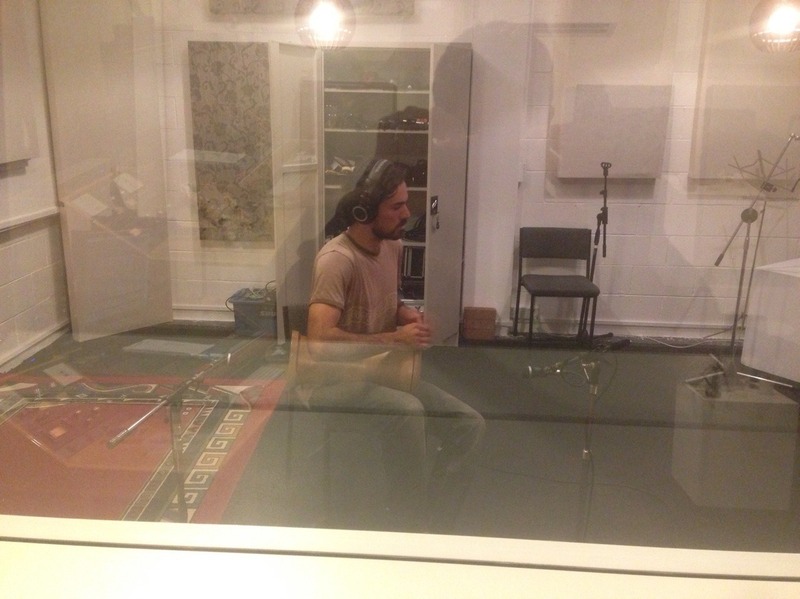 Below are a small selection of pictures from the recording sessions – you can view all the pictures here. While our new album is being completed, we’ll be playing a show next month – more details about that soon.